I spent some time at my grandparents' house in August after my grandfather had his hip replacement surgery. My grandparents own a farm where I spent all of my summers as a child. Almost every day during those summers was the same. I would get up early in the morning and catch the horses to go for a quick ride. Afternoons were always filled with baking, gardening, crafting and board games. Evenings were reserved for card games in the kitchen. For the last few years, I've only been able to visit them over the Christmas holidays. It wasn't until I went back last month that I realized how much I loved being there at harvest time. While I was there I couldn't help but fall back into the routine I'd set as a child. I found a reproduced vintage dress pattern and some cheap taffeta and set about making myself a dress (photos to come). I didn't get the dress finished while I was there but did manage to rediscover my love of sewing. After I got back, my grandmother suggested that I buy myself a sewing machine as a gift for my upcoming birthday and after much debate, I eventually ended up with this. 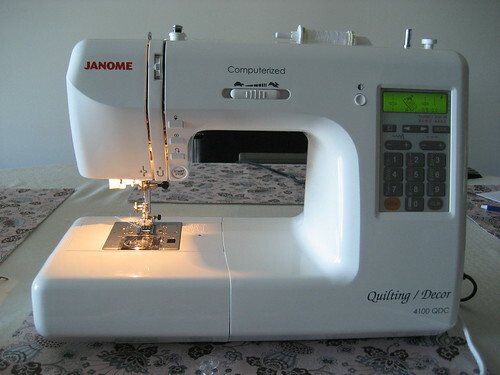 A Janome 4100QDC. At this point it appears that this machine is the best purchase I've ever made. 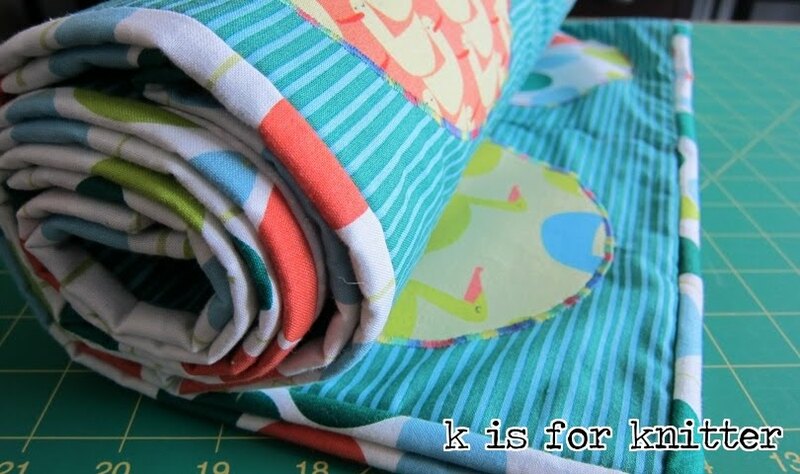 I've already made two small projects with it with many more in the planning stage (more on those next time). That said, I'm still knitting. Instead of detracting from my knitting, the sewing has actually kicked it into high gear. Hopefully there will be some Autumn Rose progress worth sharing shortly. Posted by Amanda at 4:45 p.m.
Good to have an update from you! September 25, 2008 at 1:53 p.m.
Excelllent choice. I like the speed control feature in it. I have a Kenmore (manufactured by Janome) and am quite happy with it. September 26, 2008 at 3:38 p.m.